Today we have a guest post from writer and teacher Michael Noll, who is the author of a new craft book: The Writer’s Field Guide to the Craft of Fiction. Check it out for your classrooms and yourselves. It’s from the great Austin indie press, A Strange Object, and is based off of Noll’s popular blog/literary citizenship project, Read to Write Fiction. The Writer’s Field Guide to the Craft of Fiction is a practical writing guide with a mini anthology of contemporary fiction, a collection of craft essays, and a personal account of learning how to read like a writer. In the post below Noll writes about teaching creative writing to students with different aesthetic considerations from his own, a common and important challenge. One of the most rewarding pleasures of teaching writing or literature is assigning students a story or novel they’ve never encountered and watching their faces when they are bowled over by it. The same assignment, though, can also lead to one of teaching’s greatest frustrations: the students not being impressed, not liking the brilliant novel or story or, even worse, responding to the question of “What did you think?” with a shrug. Some instructors, when faced with student indifference, turn bitter. The problem, they’ll tell anyone who will listen and many who would rather not, is that the students are intellectually stunted. Or lazy. Or ill-prepared for the appreciation of rigorous literature by the low standards of public K-12 education. We all know these professors; if you’re thinking of one in particular, it’s probably someone from a literature department, a Melville or Spencer scholar perhaps. But creative writing classes are not immune to such bitterness. I’ve been guilty of it myself. I once asked the undergrads in one of my intermediate creative writing workshops to read George Saunders’ story “Tenth of December,” expecting them to be as dazzled by it as I was. At the very least, I expected that they would think parts of it were funny. I arrived to class early, a bounce in my step. He spoke for most of his classmates. He found the prose confusing. It could have used an editor, he said, and I ranted to myself about how intellectually stunted, lazy, and poorly educated he was. Some of my rant may have been accurate. Perhaps the story’s prose was more ambitiously literary and experimental than what he was accustomed to. Perhaps he’d skimmed it in the minutes before class. Or, maybe, he just didn’t like it. As my father likes to say, “There’s no accounting for taste.” Some very smart people don’t care for George Saunders’s writing. The problem is that, as instructors, we rarely account for any taste except our own. I’m not talking about genres, though creative writing instructors have a head-scratching habit of requiring that their students write only realist fiction. Taste means more than genre. It means novels and stories that you find aesthetically displeasing. Any reading list, unless it is put together at random, will be biased toward one aesthetic or another. You might think, well so what? What’s wrong with students encountering a coherent aesthetic that challenges their sense of what constitutes good writing? One answer, of course, is that reading beyond one’s comfort zone is often crucial to developing an aesthetic. But on the other hand, how many of us would have become writers if we’d only read things we didn’t like or understand? If a workshop or writing class is truly determined to serve its students, then it must find ways for them to learn from the books they love. That means including readings that the instructor might not like. It might sound awful, but it doesn’t have to be. It only requires some quick-thinking by the instructor. We often tell students to write what they know, but in practice, our classes teach them to write what we like. Instead, we ought to be helping them write what they want to read. The one-page challenge has gotten easier for me. When you set aside aesthetic and simply approach a page from a purely mechanical level—and with the assumption that the page demonstrates successful prose—you can almost always find some lesson to impart about craft. Pointing out something small about how a passage introduces character or ratchets up tension often leads to the student response that we crave: a mind blown. Wow, it does do that. Little by little, I’ve gotten better at reading like a writer. For five years, I’ve been doing a public version of the one-page challenge, posting writing exercises based on short excerpts from published stories and novels at the blog Read to Write Stories. Now, I’ve written a book, The Writer’s Field Guide to the Craft of Fiction, based on the same premise: craft essays and exercises focusing on the mechanics of fiction based on one-page excerpts from 40 novels and stories that were published in the last five years. It is surely the only book to contain work by avowed experimentalists like Percival Everett and Ben Marcus and conventional genre writers like Joe R. Lansdale and Jennifer Weiner. These writers have plenty to teach us, but, more importantly, learning to see the inner workings of their prose, even if it falls outside our aesthetic, makes us better teachers. And, it can make us better writers. I’m willing to bet that most instructors walk out of their best classes feeling like they’ve just figured something out about craft and ready to put it to use in their own work. Like great writing, great teaching can offer unexpected surprises. 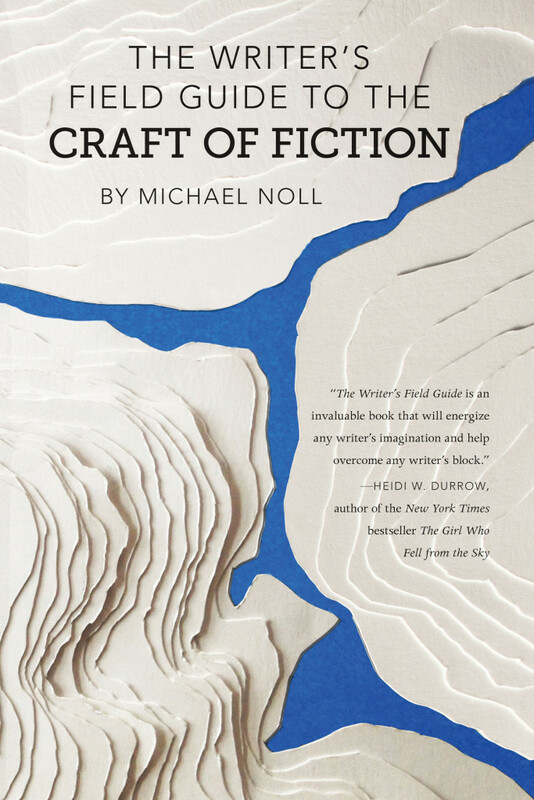 Michael Noll is the author of The Writer’s Field Guide to the Craft of Fiction. He edits the craft-of-writing blog, Read to Write Stories, and works as the Program Director for the Writer’s League of Texas, where he moderates the Writers’ League of Texas podcast. His stories have appeared in various journals, the 2016 Best American Mystery Stories anthology, and forthcoming in Crazyhorse.